Aloisio de Andrade Bartolomeu received his B.Sc. degree in Chemistry from UNESP (São Paulo State University – Brazil) in 2012. In 2015, he obtained his M.Sc. degree in Science and Technology of Materials from the same university under the supervision of Prof. Luiz Carlos da Silva Filho. 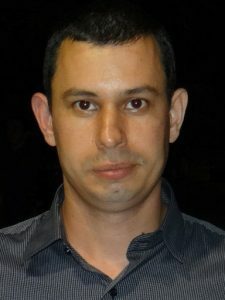 Currently, he is a Ph.D. student at UFSCar (Federal University of São Carlos – Brazil), under the supervision of Prof. Kleber Thiago de Oliveira. At TU/e he will work on the flow chemistry project under the supervision of associate Prof. Timothy Nöel.